in Kołobrzeg by the Baltic Sea! 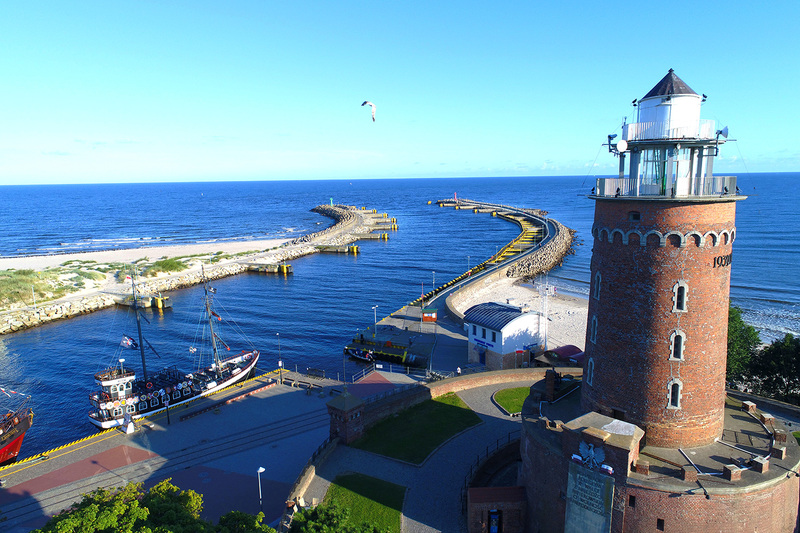 The town of Kołobrzeg is situated on the Baltic Sea coast, half-way between Szczecin and Gdańsk. The town boasts a long and rich history. Today it is mainly a spa, health resort and well-known bathing resort. Because of its unique microclimate, brine deposits, beautiful, wide beaches and a vast range of accommodation facilities, tourists gladly visit the town. Our school is located right in the town centre. The Cathedral and the Old Town district are just a 5-minute way form the school, and you can get to the beach on foot in 15 minutes. In the closest vicinity there are many bars, restaurants, shops and a cinema. It is easy to reach us both by car and by means of town’s public transportation. Our school has 4 bright and cosy classrooms with modern equipment at its disposal. The classes are focused in the first place on communication and conversation in the Polish language. All our language teachers possess essential methodological and substantial preparation, along with experience in teaching Polish as a foreign language. Classes are conducted in small groups, up to 5 persons. All course participants receive teaching materials and stationery before starting their course as well as coffee during classes. Before starting a course, course participants shall be qualified for the relevant level of language proficiency.